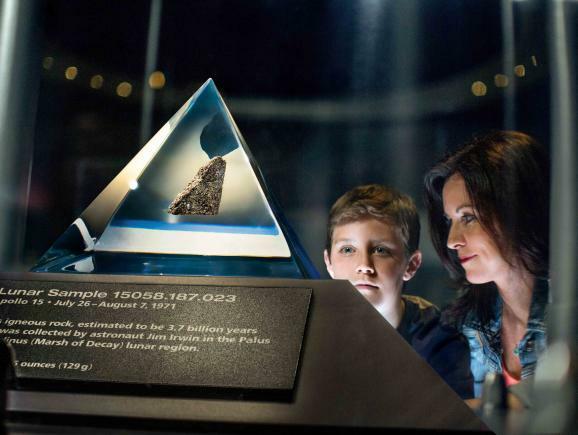 From the hands-on exhibits and attractions and the amazing collection of rockets and space memorabilia, our Kennedy Space Center tickets will wow visitors whether they have a deep fascination with Space exploration or merely a casual interest. 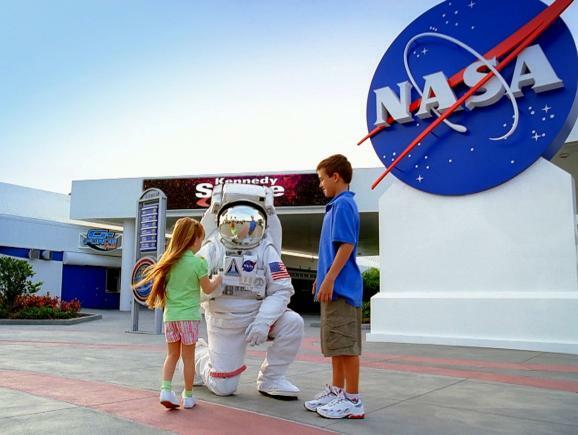 There is nowhere on earth quite like Kennedy Space Center, the home of NASA. 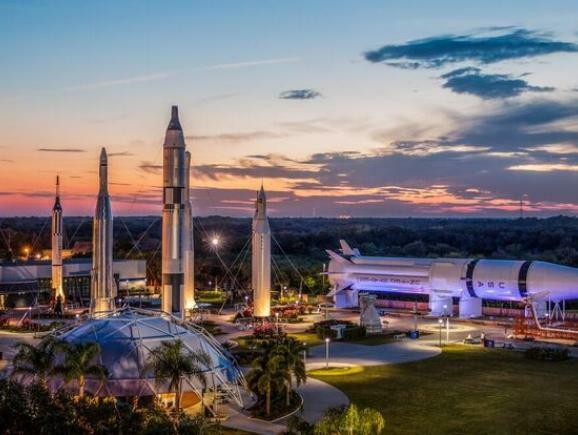 Located just one hour from Orlando, Kennedy Space Center Visitor Complex provides an exhilarating and educationally enriching experience of the history of the American space programme from its origins to the present day. Whether touring the 'Rocket Garden' (an astonishing sight you will NEVER forget), viewing the spectacular Space Shuttle Atlantis or experiencing the full-on G-forces of a space shuttle launch at the the Shuttle Launch Experience, visitors to the Kennedy Space Center Visitor Complex are guaranteed to be overwhelmed by the awe-inspiring NASA story and stunned by the remarkable achievements accomplished by the space programme. 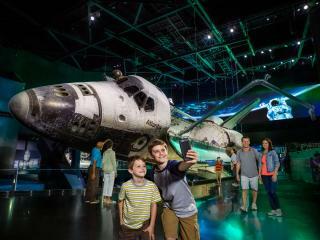 See Atlantis as if it were in orbit, elevated 30 feet off the ground and learn the story of the shuttle programme. Enjoy a 360-degree view of Atlantis including the wear and tear of its 33 missions apparent on its protective external tiles and engage in more than 60 interactive exhibits and high-tech simulators that provide a never-before experienced perspective on the shuttle’s complex systems, components and capabilities. 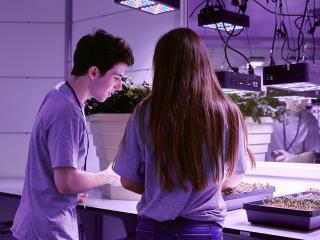 You can also choose to enhance your experience at the Kennedy Space Center by embarking on a Cosmic Quest or training to become an astronaut. 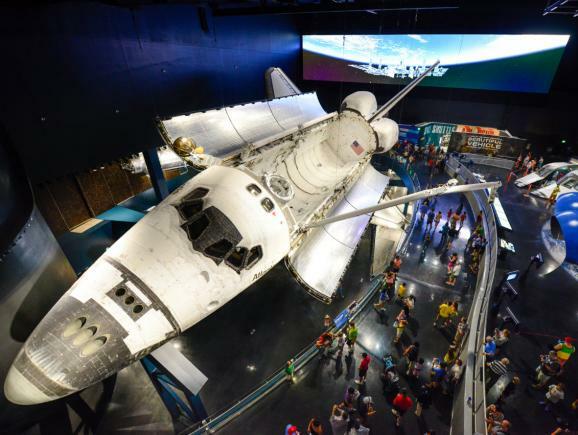 The exhibit will not only showcase Atlantis as if it were in space—raised 30 feet off the ground and rotated 43 degrees, but will also tell the compelling story of the entire shuttle program. 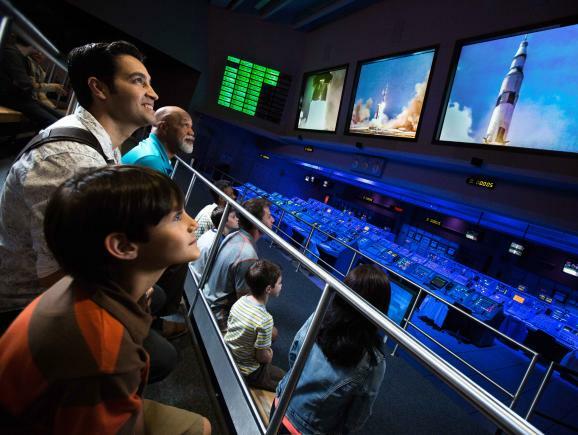 More than 60 interactive, immersive exhibits and simulators will provide guests a never-before experienced perspective on the shuttle’s complex systems, components and capabilities. 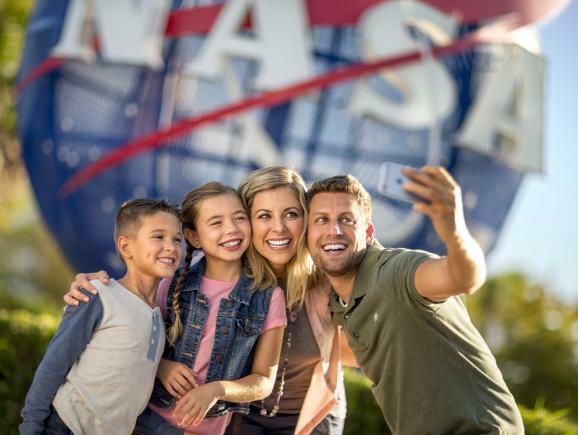 Short of becoming an astronaut, there’s no better way to get a glimpse of the Kennedy Space Center than on the Kennedy Space Center Tour (KSC Tour). Take a NASA bus for a drive-by view of a launch pad and then experience the historic Apollo 8 launch site and marvel at a massive 363-foot-long Saturn V moon rocket at the Apollo/Saturn V Center. 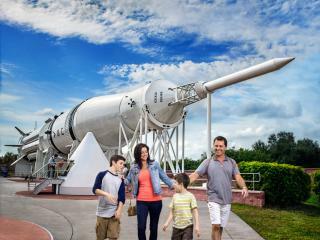 On Shuttle Launch Experience®, visitors strap in to the sights, sounds and sensations of a real Space Shuttle launch. Entering the heart of Space Shuttle operations for the pre-launch briefing, crew members are guided by veteran Space Shuttle Commander Charlie Bolden as he takes them step-by-step through the shuttle launch sequence. In two giant IMAX theatres, the dream of spaceflight comes alive with a wall of sound, a five-story screen and realistic 3-D special effects. 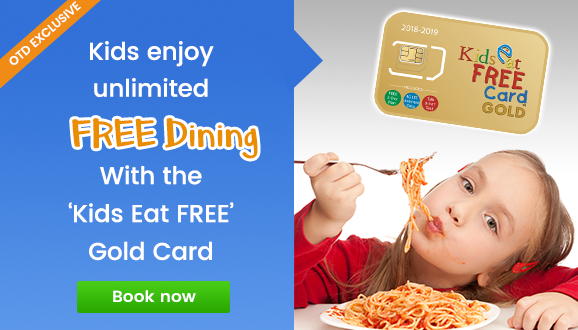 Current films include the Journey to Space which explores NASA’s bold plans for deep space exploration using stunning space footage and the all new 3-D film ‘A Beautiful Planet’ featuring stunning footage shot by astronauts on the International Space Station. 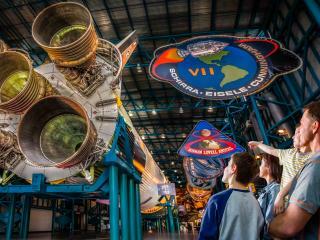 View the monstrous 111-meter Saturn V moon rocket, the most powerful rocket ever built. 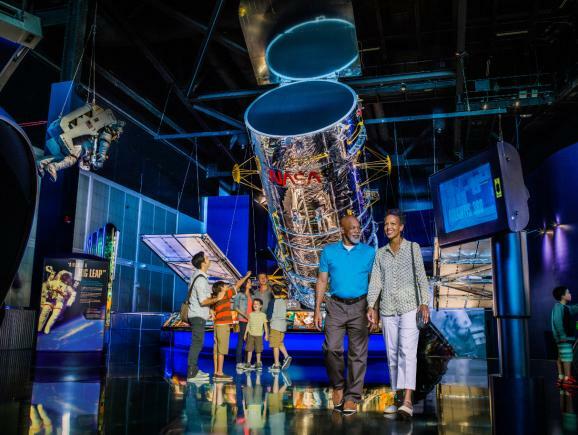 The Apollo/Saturn V Center is a tribute to the Apollo astronauts and the machines that got them there – and brought them home safely. 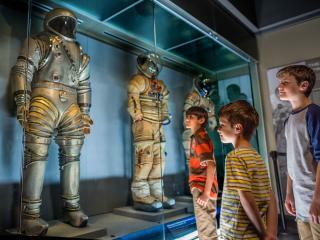 Here you can experience the very same Redstone, Atlas and Titan rockets that first put NASA astronauts in space, or climb aboard Mercury, Gemini and Apollo capsules – and get an idea of the cramped quarters America's astronaut pioneers endured. 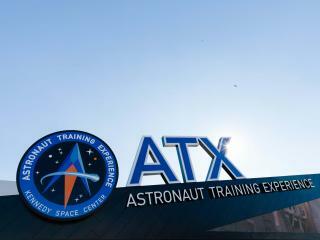 Free tours of the NASA Rocket Garden are given at 10:30am and 4.00pm daily. 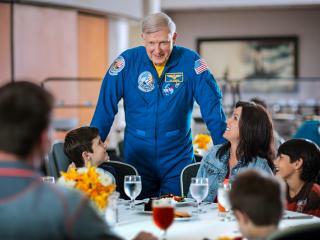 Each day at the Kennedy Space Center Visitor Complex, guests get the rare opportunity to meet veteran astronauts from NASA’s famous Astronaut Corps - there are only a mere 500 humans that have ever been to space! The daily Astronaut Encounter briefings allow plenty of time for discussion, so bring your questions – and your camera.